“[Trump said] you’re a racist?” CNN talking head Dana Bash asked. 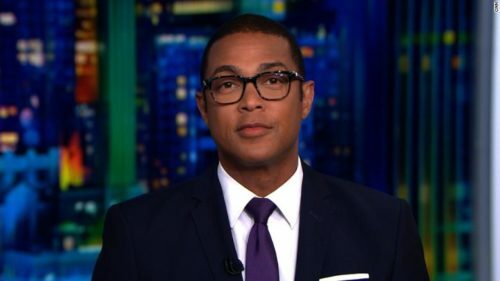 Lemon’s story comes on the heels of a tweet that Trump sent out last week regarding an interview Lemon conducted with basketball player and philanthropist LeBron James. Lemon then highlighted a tweet from CNN’S Keith Boykin that featured 12 statements Trump has made about people of color, mostly African-Americans. The 13th statement on the list wasn’t about people of color, but a reminder of what Trump said regarding the neo-Nazis who gathered in Charlottesville, Virginia one year ago.